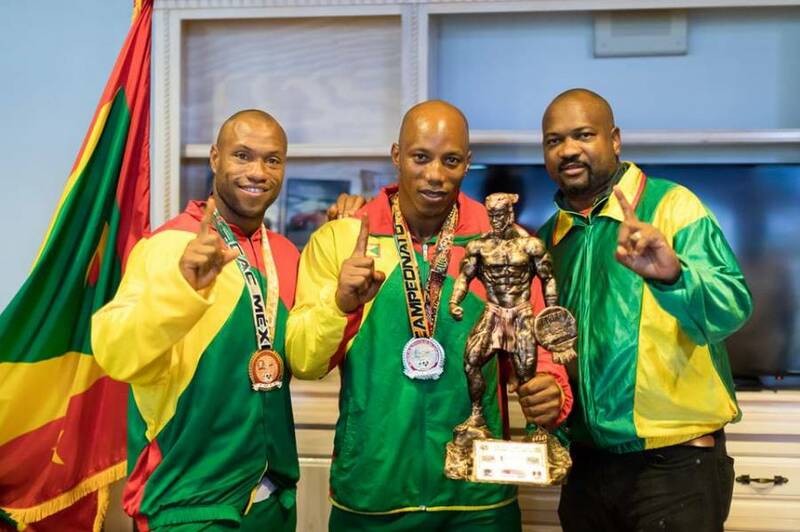 Cecil Mitchell, Coordinator of the Grenada Bodybuilding Federation, says that the recent titles won by Damion Daniel and Linton Jones in the Caribbean 45th CAC Bodybuilding Championship held in Mexico last weekend, came after one year of preparation. “They were working hard for the past year, and I feel very proud they have accomplished their goals, but the journey has just started for them,” Mitchell said in a news conference on Thursday where both athletes share their experience and future for bodybuilding. In the last competition Daniel won the heavyweight competition, but for 2018 the organiser merged both heavy and super heavy categories. “The categories were merged, the heavyweight and super heavy together and he was chosen as the winner. 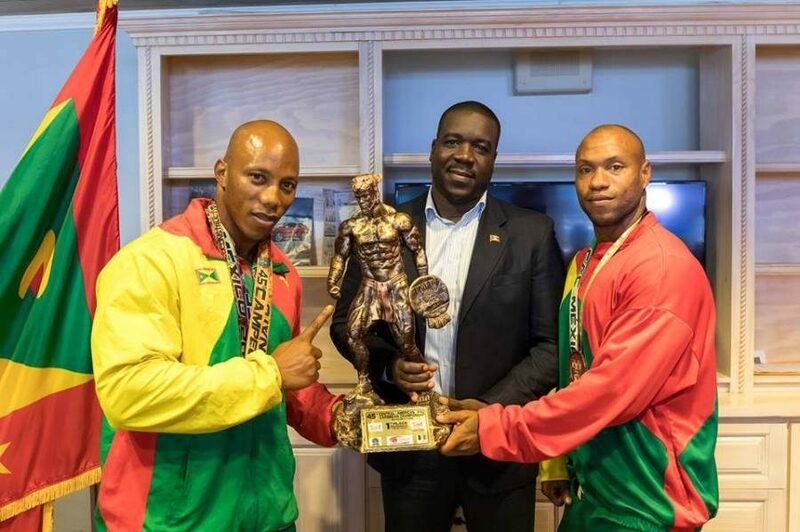 He reigns supreme of all 200 athletes from 34 participating countries,” said Mitchell who accompanied the 2 bodybuilders to the competition. Daniel has already won several local and regional titles, and by winning the CAC Championship, he has now moved to the category of professional. Jones who participated for the first time, placed 5th in his category. However, Mitchell said for a first timer he was the real champion. “He is a first timer; he stole the show. He was in competition with guys who were already in competition, and they had experience. It was his first experience at this level,” Mitchell said. As a professional, Daniel will now be able to compete with the best in the world, while Jones has to continue training and winning titles as he continues his journey. Mitchell said that his official professional title is “IFBB pro elite Damion Daniel” and his first competition as a professional will be in Spain later in the year. Daniel said that there is this belief that turning professional requires the use of steroids, but he condemns the use of drugs in sports. “But I want people to know that I was never tempted to use drugs to assist with this bodybuilding training, I was tested more than 5 times and passed every test. You can do it without steroids,” he said. Both athletes call for support for the athletes so that those involved in the sport of bodybuilding can grow and develop. Participation to the championship by the athletes was a collective partnership with many sponsors including the National Lotteries Authority, Fit for Life Health Club and others.